Garve's writings on Russia, 1931-1946, 246 pp. He was the son of a left-wing journalist, Ernest Winterton, who was the Labour Member of Parliament for Loughborough from 1929 to 1931, and who also stood unsuccessfully for the same constituency in the elections of 1923, 1924, 1931 and 1935. He gained his B.Sc. degree from the London School of Economics in 1928, and was one of the first two recipients of the Dyke Acland Travelling Scholarship, worth two hundred pounds, which allowed him to spend the next nine months in Russia where he spent some time living with a family in the Ukraine, visiting a farming commune, and learning Russian. On his return he wrote A Student in Russia, which appeared as an 80-page booklet in 1931, published by the Cooperative Union which had sponsored his visit. He joined the staff of The Economist in 1929, and four years later was taken on by the News Chronicle. In 1931 he stood for Parliament himself, fighting Canterbury for Labour, rather a lost cause as Canterbury has hardly ever returned a non-Conservative. He polled just under six thousand votes against the Conservative's thirty-thousand, but he did rather better in 1935 when he stood for Labour in Mitcham, cutting a Conservative majority from 25,000 to 9,000. 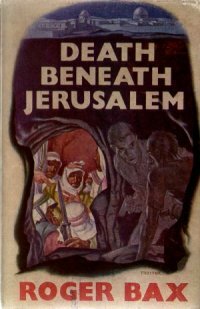 He had several overseas assignments, including two more visits to Russia, as well as a spell in Palestine which gave him the background to his first novel, Death Beneath Jerusalem, published in 1938 by Nelson under the pen name Roger Bax. 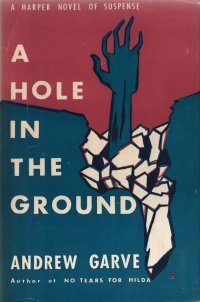 This was the first of several books featuring what must have been one of his hobbies, pot-holing or cave exploration. It is also a book with a good deal of political comment on the rise of Arab nationalism and the accompanying terrorist activities. He was, however, beginning to discard any rose-tinted spectacles when it came to Soviet Russia. His 1937 pamphlet Russia with Open Eyes, published for an organisation called the 'Friends of the Soviet Union', had given a reasonably positive account of Russia, its industry, economy, education system and politics. In 1940 he published a very different book, his second novel Red Escapade, using an obscure publishing house called Skeffington and Sons, and once again using the pen name Roger Bax. I expect he took trouble to avoid being publicly associated with that book; it would have made it harder for him to get a Russian visa. It tells of a rather naive English girl travelling to Leningrad on a ship in early 1939, falling in love with a junior Russian diplomat who is returning on the same ship, and marrying him impulsively as soon as they land. A few weeks later the diplomat is caught up in the Stalinist purges, and is summarily tried and shot. The girl, having given up her passport, faces imprisonment or exile to Siberia. A journalist friend manages to extricate her, and they flee by train and sledge across Ukraine to the Polish border. Many features of this frantic winter escape are re-used in a much later book, The Ashes of Loda (1965). Both books are unrelenting in what they say about the cruelty and injustice of the Soviet regime. 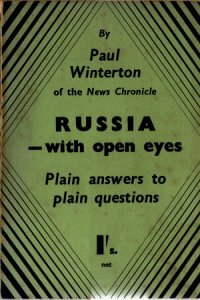 In 1942 Winterton was sent to Moscow, a journey that took him seven weeks, to be the News Chronicle's correspondent, and in the next three years he wrote or broadcast. or so he claimed, a million words of reportage. On his eventual return from Moscow, which must have been very soon after V.E. 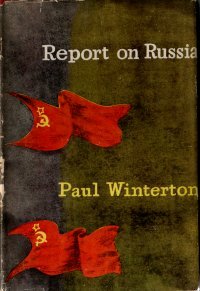 Day since he was back in London by June 1945, he published Report on Russia. In this he says he is righting the imbalance due to censorship. The million words of the previous three years had been 'only nice things. Criticism was impossible.' The 40,000 words of the new book are uniformly critical of the Soviet system. He apologises for this, saying that it is only because censorship prevented him from saying any of these things before, so they have to come out all in one lump. He is especially harsh on the way that efforts to promote Anglo-Russian friendship became lop-sided, with many Anglo-Russian friendship societies being established and encouraged in Britain, fed by speakers and literature from the Soviet Embassy, while all comparable efforts from the British side to inform ordinary Russians about Britain were stymied, with newsletters not circulated because of 'paper shortages' and speakers denied travel permits. Back in Britain, he set about establishing himself as a popular novelist and thriller writer. His first post-war book was Disposing of Henry (1947), in which an ambitious and unscrupulous girl snares a rich husband and later conspires with her lover to murder him. 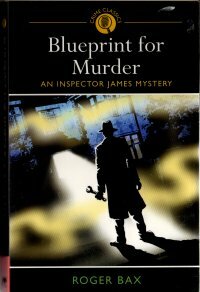 This was followed in 1948 by Blueprint for Murder, introducing Inspector James, who would feature in one other book. This book displayed two features that would become very characteristic of his later work, the establishment of a complex and apparently unbreakable alibi, and the use of his expertise in small boat sailing. Both books were far better written than his two previous novels and attracted good reviews, no doubt reassuring Winterton that he could safely take up his new career and abandon journalism. Both novels had appeared under the pen name Roger Bax, but he published one more book in 1948 using his own name, Inquest on an Ally. This was an exhaustive analysis of post-war Soviet policy and ambitions, with meticulous documentation of the way in which the USSR had exploited every concession offered by the West and had offered nothing but intransigence in return. The message was clear: do not trust the Russians. At one hundred thousand words the book is a challenging read and a testament to the strength of his feelings, as well as to his indifference to offending the Soviets. I doubt whether he would ever have been allowed to visit the USSR safely again. 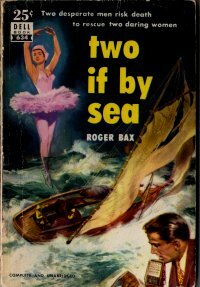 His next novel as Roger Bax was Came the Dawn (1949), published in the USA as Two If By Sea and filmed in 1953 with Clark Gable and Gene Tierney as Never Let Me Go. This picked up a thread from the earlier Red Escapade, the plight of any foreigner who marries a Russian. In this case the foreigners are English, a journalist and an engineer working in Moscow for the latter part of the war. They are sent home and are unable to obtain exit visas for their wives. In desperation they buy a small sailing boat and sail to the Baltic, where they are able to get ashore and, with suitable nail-biting tension, manage to bring their wives out secretly. For all the tension, the author does not let us forget that what they are doing is natural and decent while the regime that opposes them is arbitrary and ugly. The book is especially memorable for the accounts of the sea voyage, reminiscent in places of Arthur Ransome's Racundra's First Cruise, also set in the Baltic. Although there was to be one further Roger Bax book (A Grave Case of Murder, 1951) which featured the return of Inspector James, Winterton now started to use the pen name Andrew Garve. I don't know why he should have done this. 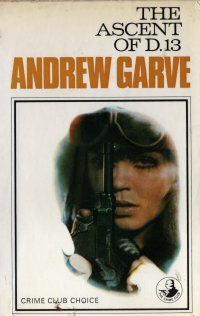 The first Andrew Garve book (No Tears for Hilda, 1950) was not unlike his previous crime stories, so he was not moving into a different genre. However he was switching to a new publisher, from Hutchinson to Collins, so it may be that A Grave Case of Murder was fulfilling a publishing contract with Hutchinson. His very first novel, Death Beneath Jerusalem, had featured a hero called Philip Garve, so it seems as if the name Garve had some significance for him. 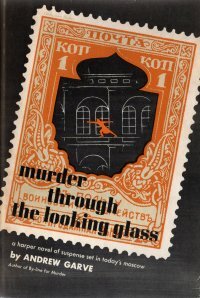 His third Andrew Garve novel, Murder in Moscow (1951), published in the USA as Murder through the Looking Glass, returned to his Russian themes. A trainload of delegates, a 'peace delegation', is on its way to Moscow for an official visit. The narrator, a Moscow-based journalist of course, has great fun in the first chapter describing them all: a Reverend who 'had got the idea that the Soviet Union was the one country in the world where the Sermon on the Mount was being translated into practice', a Welsh Nationalist, a Labour MP, a sculptress who is keen on Socialist Realism, an officer of the Cooperative Women's League, a Professor of Sociology, and a young trade unionist. We continue to be presented with their pompous and ill-informed opinions until, a third of the way through the book, the leader is murdered and the book turns into something closer to a detective story. 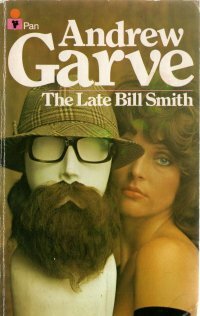 This was apparently Garve's own favourite among his books, perhaps because he was able to combine his background knowledge and strong feelings about Russia with his developing relish for ingenious plots. "How can I betray something I don't believe in? These labels mean nothing. If some anti-Soviet Russian succeeded in blowing up a big atom plant in Russia, would your side call him a traitor? Of course you wouldn't. You'd say he was a freedom-loving democrat, a martyr." "He'd be fighting a tyranny. You're helping one." There were no more references to Russia until The Ashes of Loda (1965) which, as noted above, re-uses parts of the escape sequence from Red Escapade, written twenty-five years earlier. This time it is the hero on his own rather than accompanied, but we have the snow-covered landscape, the extended waiting for much delayed trains, the "hard carriages", and the constant fear of meeting an official who will demand to inspect your papers. The writing is vivid; if this was drawn from experience, it is an experience that is still painfully clear in his memory. The main plot concerns the exposure of a Russian spy in London, and the hero encounters plenty of deviousness in his dealings with Soviet authorities. In 1969 Garve published The Ascent of D.13, a book which showed he had lost none of his hostility to communism. A NATO plane has crashed in mountains in the north of Turkey, right on the Soviet border. Both sides send climbing expeditions to destroy or retrieve a top-secret camera that was on board. Much of the book is a tense and detailed account of the climb. In the end when they reach the plane, there is only one survivor in each party, an English man and a Russian woman. To survive they must descend together. Whenever they stop to rest they argue about politics. By the time they reach safety, the hero has not persuaded the woman that his way is better, but she changes her mind when she discovers at the Russian Embassy in Istanbul that she is about to be tried as a traitor because of her 'disloyalty' in coming down the mountain on the Turkish side. Happily she can use her climbing skills to escape from the building and run to the arms of the Englishman. In The Late Bill Smith (1971), the last of Garve's books to contain any reference to Soviet Russia, there is very little direct preaching about the tyranny of the regime, though the plot clearly assigns a duplicitous role to the Russian secret services. The hero, a young businessman recently returned from a trip to Russia, survives three murderous assaults but cannot understand why anyone should want to kill him. He is befriended by a travel courier who gets him on to an Aegean cruise ship where he cannot easily be found. On the ship he decides impulsively to fake his own suicide as a way of avoiding further danger. On returning clandestinely to Britain, he sees a television news programme about a forthcoming prisoner exchange; Paul Munro, a British intellectual who has been convicted in Russia is to be exchanged for Alex Gordon, a Soviet spy serving twenty years in Britain. He recognises Munro, the British intellectual supposedly doing hard labour in a Khazakstan prison camp, as somebody he has met having an uproariously good time in a Russian hotel a month before. Now he realises that Moscow has been trying to eliminate him in case he reports the encounter to the British authorities, thereby exposing the spy exchange as phoney. There are a few more plot twists before the happy ending. Among the political asides is one comment which seems to carry several layers of irony, made while the protagonists are observing Mrs Munro through binoculars: "She's standing up reading a paper, some lefty rag, I'll bet. Yes, it's The Times." 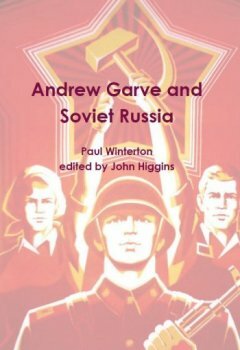 Andrew Garve stopped writing in 1978, so we cannot know how he felt about glasnost and perestroika and the eventual break-up of the Soviet empire. In his thrillers he has nothing good to say about communism and the Soviet system. However, given the leftist and on the whole rather charming idealism of his earliest work, I would still be surprised if he ever cast a vote for the Tories. 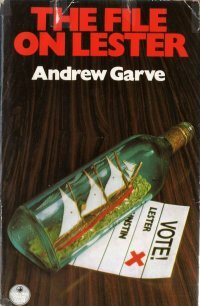 A significant pointer to his later views is that in his very good 1974 novel The File on Lester, concerning a plot to discredit a party leader during a British general election campaign, the much-wronged and eventually vindicated hero James Lester M.P. leads the fictional 'Progressive Party'. A Student in Russia, 1931, Manchester, The Cooperative Union. Mending Minds: The Truth about Our Mental Hospitals, 1938, London, P. Davies. Eye-Witness on the Soviet War Front, 1943, London, News Chronicle. "A Glass of Port", Winter's Crimes 7, Macmillan, 1975. "The Last Link", Ellery Queen's Mystery Magazine, September 1982.